Senior Partner Clinton Matthews-Stroud specialises in Wills and Probate and Residential Conveyancing. 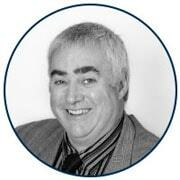 This mix of expertise enables him to offer a comprehensive service to his clients. Educated at Harrow County Grammar School he obtained a 2:1 at Middlesex University before attending Guildford Law School and being admitted as a solicitor in 1987. He worked for a law firm in Wembley before moving to Bird & Lovibond in February 1997. He provides advice from our office in Greenford. Away from the office Clinton’s interests are swimming, rugby and gardening.